Dave Hill is a mad scientist, the kind of mad scientist who probably as a child built backwoods stills that ran on solar power and synthesized corn mash out of atmospheric carbon–with a geothermal beer cooler in the carpeted shed in the backyard. Nowadays he kind of looks like the elderly, haggard Neil Young, with a disarming, broken grin and slight lisp… but I tell you, there are serial killers that are his psychic first cousins. If you want to spend an afternoon with the guy, who turns out to be at the core of it all totally bashful and charming, occupy yourself with this DVD. 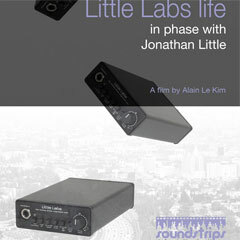 You’ll get some real insight into how emotions and electronics intertwine from the creator of some of the world’s most prized and esoteric and yet remarkably soft and cuddly gear, the whole line of Crane Song products that blossomed from the unlikely story of this vagabondish ragamuffin born and bred and still trapped in Superior, Wisconsin. There are some strange kabuki scenes of him dealing with his worker-man crew, and ponytails are big, and the purity/desolation of Superior and its vast inland sea’s endless horizon is pondered extensively, and he does sort of prove he’s an idiot when after this horrendous live-on-the-floor vocal take he offers up glowing praise. So he ain’t Tony Maserati–I’m not either. 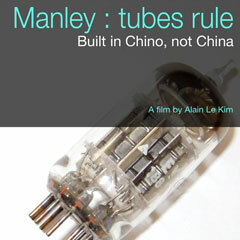 He IS a genius who seems to feel in his tendons how audio equipment functions, how its bloodstreams flow, and has devoted his life to making this world sound better. No, not just sound better–be better. My advice: cast your precious attention span Dave’s way for the one hour and forty-two minutes of this DVD. There is a lot to learn, and he makes it all understandable… I mean, what… are YOU Tony Maserati? 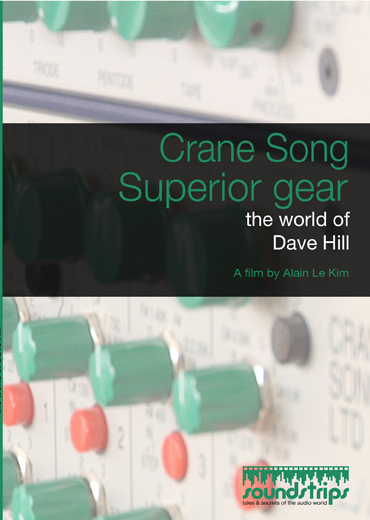 Buy the Crane Song: Superior Gear DVD, direct from the filmmaker’s site. FCC-mandated disclosure: Joel’s review copy of the DVD was a gift.